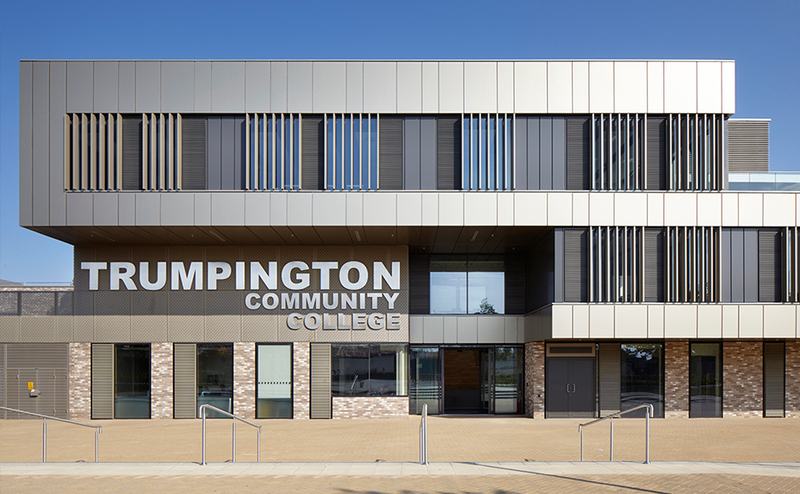 Trumpington Community College in Cambridge won a Commendation at this year’s Civic Trust Awards. 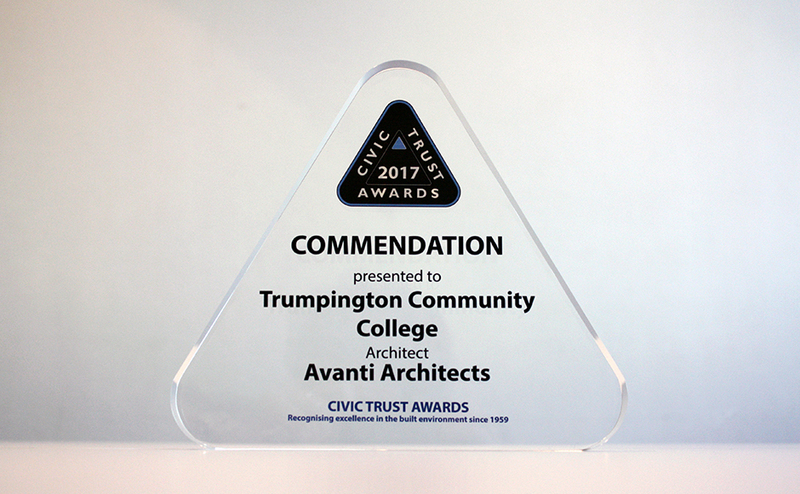 The awards recognise outstanding architecture, planning and design in the built environment and Trumpington’s Commendation was collected by Avanti Director Amir Ramezani and Associate Director Andrew Phillips. 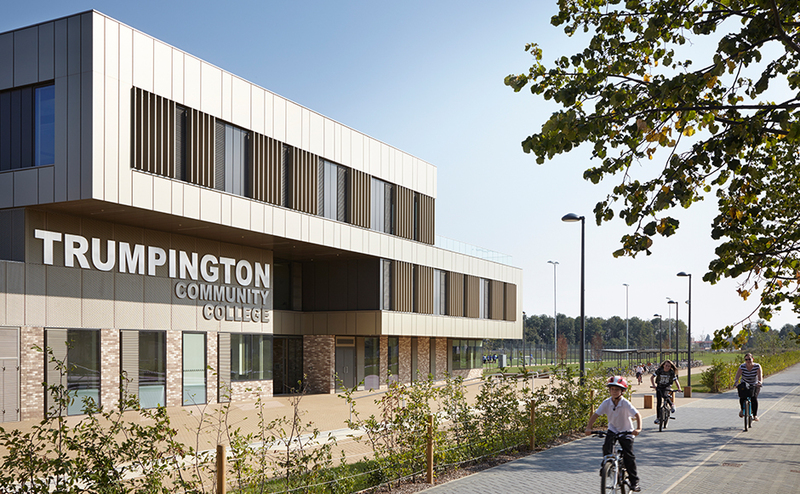 Trumpington Community College is an innovative school with enhanced community sports provision serving the new urban extension at Great Kneighton. It is the first new school to be built in Cambridge for 40 years. The project is the culmination of a highly collaborative process with the community and three clients – City of Cambridge Education Foundation, Cambridge City Council and Cambridgeshire County Council. 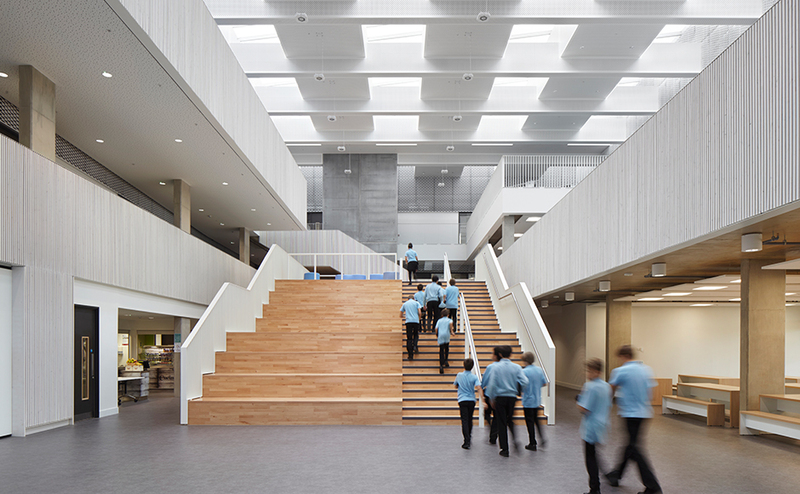 The shared building, landscape and sports facilities reflect the open, community based ethos of the school federation. The project makes an outstanding civic contribution and achieves BREEAM ‘Excellent’. 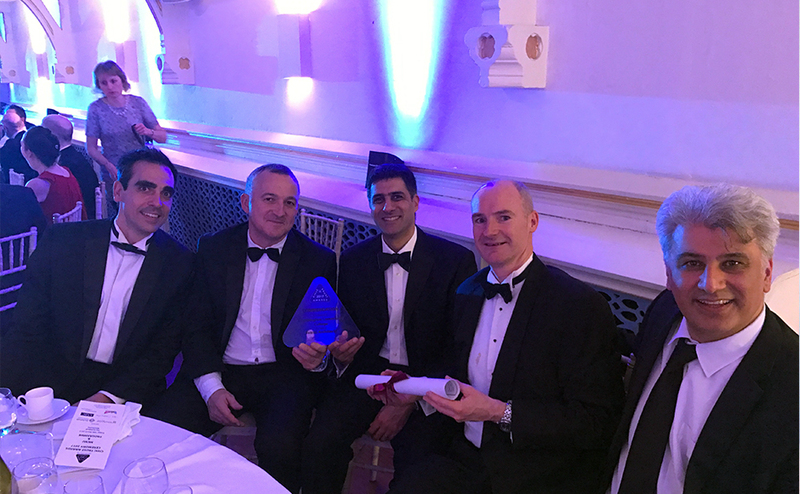 Trumpington has also been announced as runner up for the Best New Large Building over £2m and the Engineering and Sustainable Project of the Year award at the 2016 CFCI Cambridge Forum for the Construction Industry Awards.